Three down, One to go…. What? I could be on time for Christmas this year?? 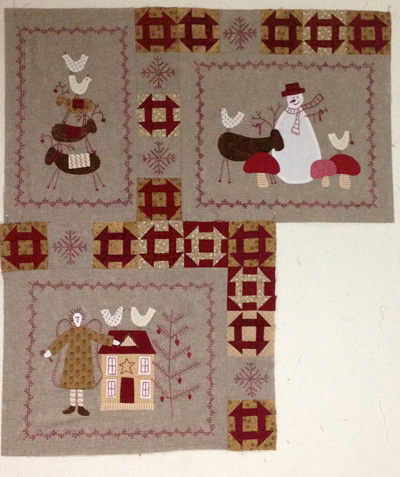 It’s looking that way for my Scandinavian Christmas quilt anyway…I finished up the third block and prepped the last on the inside blocks. of course there’s a whole bunch of blocks in the border, but heck it’s only March, so there’s still hope, right? 2 Responses to Three down, One to go…. are you working with Linen? It looks good. So sweet! I must get mine out and start working on it again! !